With so many great superhero movies coming out and The Avengers topping the charts, I thought we should explore some....Uhhh....Less than awesome movies. Some movies that you would probably be embarrassed being seen purchasing at the counter of....Well, anywhere. In a universe as vast as it is mysterious, a small but powerful force has existed for centuries. 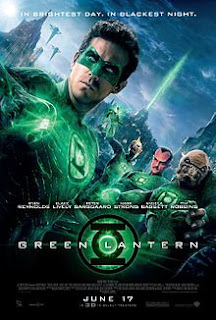 Protectors of horrible skin tight CGI uniforms, they are called the Green Lantern Corps. A brotherhood of cartoon faced badly rendered warriors sworn to keep intergalactic order, each Green Lantern wears a ring that grants him superpowers. But when a new enemy called Parallax threatens to destroy the balance of power in the Universe (eventually), their fate and the fate of Earth lie in the hands of their newest recruit, the first human ever selected: Hal Jordan (Ryan Reynolds). Hal is a gifted and cocky test pilot, but the Green Lanterns have little respect for humans, who have never harnessed the infinite powers of the ring before. Chunky CGI effects, horrible villains and a call from most fans that Ryan Reynolds was "phoning it in". This film made $250,000,000 less than what was expected by the studio. Don't hold your breath for number two, this franchise was dead before it even had time to go anywhere. The film was visually boring, the ads made it look like the GLC was in more than around ten minutes of the film and the human villain takes an hour to set up, and less than five minutes to kill off. Your friendly neighborhood web-slinger is back, only this time, he's EMO. No really, this film was more like a "how not to" for film writers. Just don't. 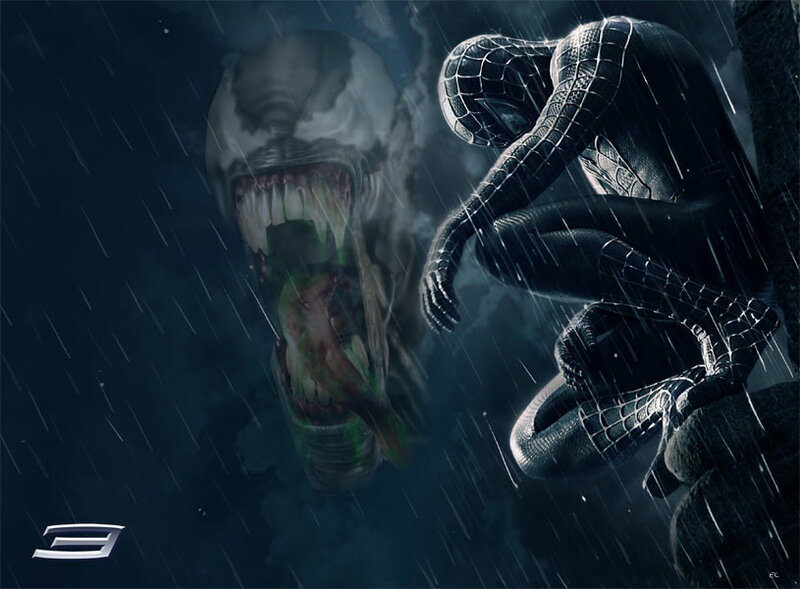 James Franco (green Goblin) was ALMOST a saving grace for the film, Sandman was seemingly impervious and Venom was the weedy kid from That 70's Show (Topher Grace.....)n. This was really just an emo fest. 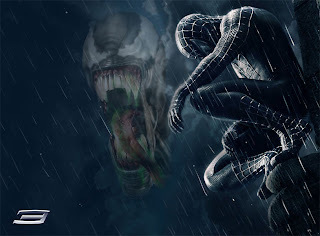 Spiderman was emo, Venom was WHINGY and emo, Green Goblin "waaaa you killed my father" emo.........UGH. 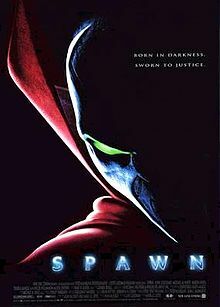 One of the most popular independent comic books of it's era, Spawn, Was the mind child of Todd MaCfarlane. A pitty that this self insulgent, toy parade of a movie sucked so bad. It was far too bloody and adult for it's time and the special effects felt like a kid playing with a camcorder and some plasticine, only these kids were well paid and really bad at what they do. The movie had no real saving grace, at least "The Violator" didn't do what he did in the comics....No one wants to see that. The whole thing is set around demons and evil, but really all it was is another "Darkman" ripoff. Todd dropped the ball and reaally should have held tighter direction on his flag ship comic book movie. In sayiong that, I really hop Todd tries again, I think it would make from a fantastic break from the comedy of marvel and serious-but-not-too-serious DC comics. 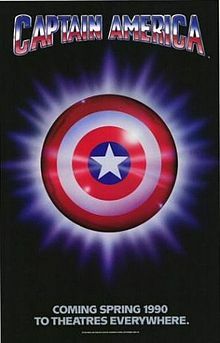 Transformed into a superhero during a secret World War II military experiment, Captain America (Matt Salinger) awakens from suspended animation forty years later to face his old enemy, the Nazi warrior Red Skull (Scott Paulin). Someone explain HOW Red Skull is Italian?With terrible special effects, a leading man with the charisma of a wall, a whole section of film shot in blue light like some cheesy 90's prono and more shield throwing than........I don't know, insert something here about a woodchuck chucking wood. Not only was this a horrible film for it's time (no really, look at Tim Burton's BATMAN!! ), it was alsdo terribly low budget. The film got nothing short of no praise, little advertising and a whole lot of fans saying "WTF?!?!?! ", and not in a good way. This is during the time when Marvel had NO idea at all what made a good superhero movie. and it REALLY shows. I decided to go get this movie to make sure I was being fair, as it was some time since I had seen it...Even the Spiderman 1978 "Strikes Back" movie was on par with this, and that was HORRIBLE. The one thing we can safely say now, thank GOODNESS Marvel has picked up their game. This is one of those movies that you see because it's part of a major franchise and the previous few movies have been between amazing and passable, and suffers from the inevitable "fourth movie curse". Any franchise that makes it to four, simply drowns itself, and TQfP does just that. Superman (Christopher Reeve) tries to save the world from nuclear destruction at the hands of Lex Luthor (Gene Hackman). In a speech to the United Nations, Superman declares he will rid the world of all nuclear weapons. Arch-villain Luthor emerges from prison and creates an adversary known as Nuclear Man (Mark Pillow). The two engage in a fight to the death blah blah blah. Not only were the studio who produced it tightwads, they also had NO IDEA what they were doing. You know what killed Reeve? not his disease......Ok, so it did, but if he died of old age, we would say HEART ACHE. 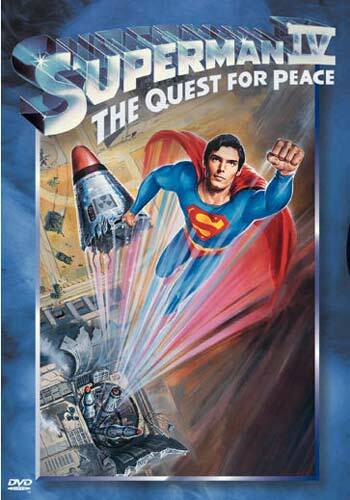 The Superman we came to love that he played so very well, was forced into a ludicrous stumbling, ridiculous cartoon. Except live action. It was a hard toss up between this movie and the latest "Lex Luthor walks around for three hours carrying stuff and taking" movie.. I'll give you that Parallax looked like evil space poo, but honestly, that was the only CG that really looked bad. And yes, the film focused more on the human side, when it really should have focused on the GLC...but again, there was really only one truly weak human in the bunch (and we all know who, ant it ain't Ryan "playing the wrong Green Lantern" Reynolds). Honestly, it fell victim to the studio wanting to bring in ALL the audiences, rather than the comic crowd spreading the word - thus, we ended up with a film that, I'll admit, wasn't as good as it should have been; but it is not, as a lot of people have said, the giant shitball that it is painted out to be. Plus, Mark Strong is awesome. While I agree that Ryan did a decent job, the CGI was truly lacking. If you rewatch the film, you get a sense of "we swept the dirt under the carpet" it was truly lacking in a lot of ways. Also, the suit was truly horrific. Great idea, terrible execution.